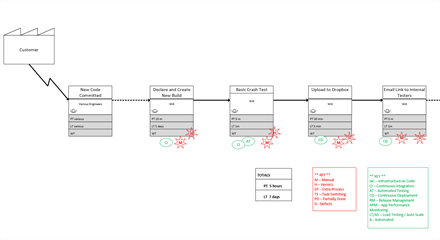 Microsoft Technical Case Studies | A collection of technical case studies with architecture diagrams, value stream mapping examples, code, and other artifacts coupled with step by step details and learning resources. The stories showcase how Microsoft, customers, and partners are building solutions utilizing Microsoft and open source technologies to solve real world business challenges that cover small to large enterprises of varying industries around the world. Black Radley teamed up with Microsoft to use Cognitive Services to make museum exhibits more compelling by tailoring audio descriptions based on age, gender, and emotional state, and by tracking patrons as they traverse the museum exhibits. Learn how a modern banking platform was built entirely on Azure using many different technologies compiled and deployed with Visual Studio Team Services. Scomi Engineering worked with Microsoft to move their monorail monitoring solution to the cloud by using a combination of open source technologies and .NET on the Microsoft cloud platform. Microsoft helped DroneGrid redesign their IoT solution and switch the back-end and front-end services to Azure PaaS services to give DroneGrid customers a better experience when using their software. MedApp, a very innovative healthcare company, teamed up with Microsoft to work in the Xamarin, Mobile DevOps, and IoT areas to develop the best possible telemedicine solutions for customers all over the world. 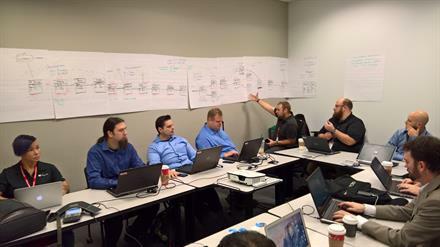 Microsoft and SUMITEM conducted a joint hackfest to introduce Mobile DevOps practices into SUMITEM's Dev and Ops teams for their Maintenance Master Pro software. BaxEnergy teamed up with Microsoft to build a Lambda architecture that allows you to define “data in motion” and “data in rest” approaches used in the energy sector to deliver real-time monitoring systems. 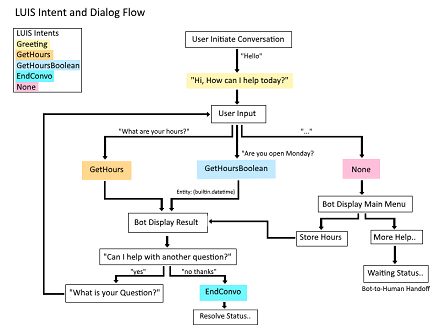 Microsoft's Bot Framework enabled Instaply to automate responses to common customer questions, providing a helpful customer service, improving efficiency, and reducing the workload. Travelers want to find local favorites, but they don't know the names of local food, the nearest sightseeing spot, and so on. 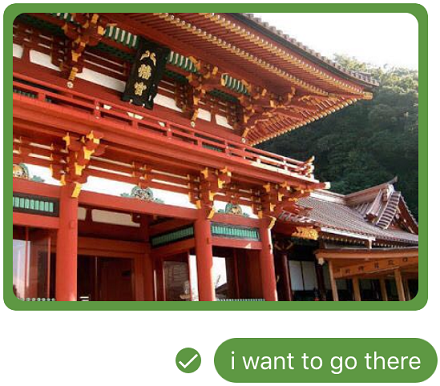 Typical apps don't help, so they ask locals...if they can get through the language barrier. NAVITIME wants to solve this problem with chatbot communication. Digamore Entertainment teamed up with Microsoft to build their new game backend on top of Azure Service Fabric and incorporate DevOps practices, helping them to reduce operational overhead and increase productivity. 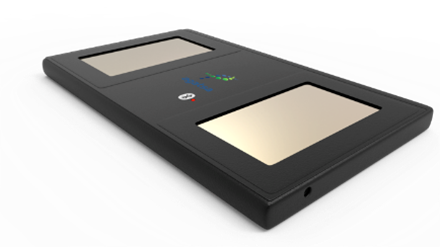 Wirepas and Microsoft together created a solution that simplifies displaying massive amounts of sensor data collected for a parcel tracking service. 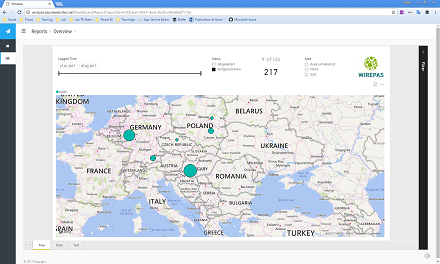 They used Power BI Embedded, a fast and easy way to visualize large amounts of data. 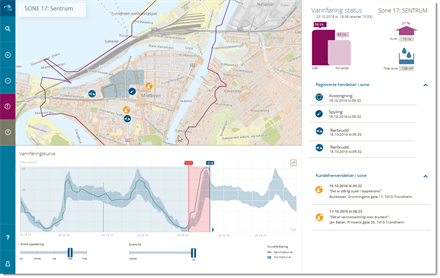 Microsoft worked with Statoil to implement Mobile DevOps best practices, including CI/CD and automated UI testing, to increase quality and reduce lead time. 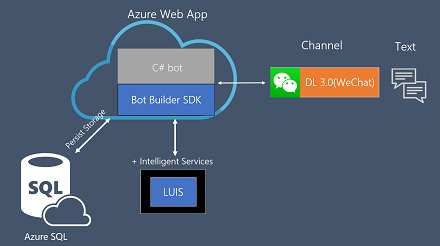 Leveraging Microsoft's platform and intelligent services, a high-end luxury shopping mall in Shanghai built a chat bot for its WeChat official account, allowing customers to easily find mall services and get quick answers to their questions. Microsoft teamed up with Callcredit and Numéro to streamline the development and deployment of their marketing application by using Visual Studio Team Services and Azure. 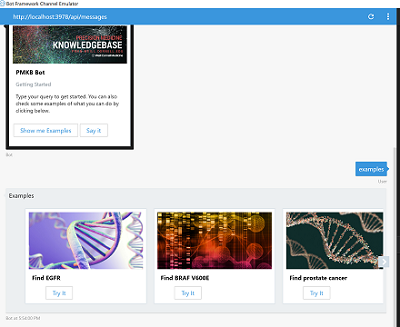 A team from Weill Cornell Medicine and Microsoft built a chatbot to support the medical school's knowledge base, making searches for specific gene and cancer variations more efficient and reliable. This article discusses the Booxscale Taxicode Bot that allows customers to order taxis quickly and easily from within the messaging channels they are already using. TechnologyOne teamed up with Microsoft to create a universal language bot to make university enrollment and daily university life easier for international students. 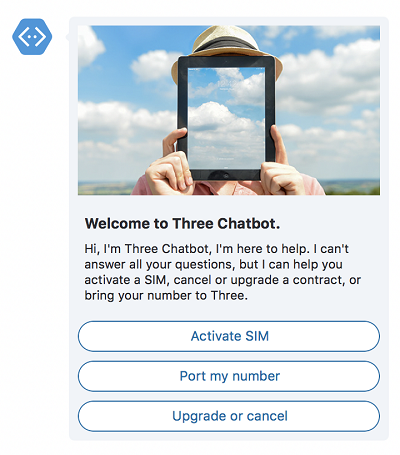 Working with Microsoft, Three built a customer service chatbot that provides self-help to customers and reduces the need for agents to answer common questions. 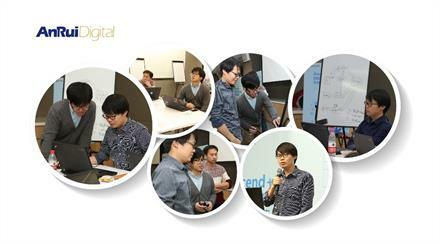 The project relied on Bot Framework, QnA Maker, LUIS, and App Insights. MidBoss is a San Francisco-based indie game company. Microsoft built a bot using the Microsoft Bot Framework and LUIS to help increase excitement and exposure for their latest game, 2064 - Read Only Memories. 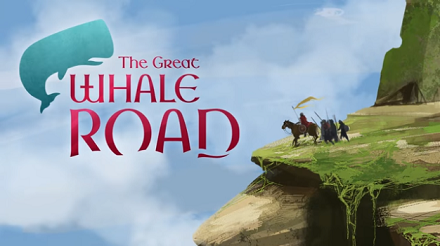 Using Desktop Bridge made it easy for this small studio to avoid inconvenient upgrades and deploy 'The Great Whale Road' to the Windows Store, greatly increasing its potential audience. IBTech, together with Microsoft, developed a cross-platform mobile application solution for their employees. Thrive games have been working on their lead game, Dragon of Legends with aspirations of delivering their game to the entire world. The team at Thrive games wishes to capitalize on the proprietary game engine to be utilized on multiple platforms (PC, OSX, Linux, iOS and Android) in order to stay committed to making their game accessible to everyone. Being a Kickstarter funded start-up, Thrive Games needed a cost-effective way to reach gamers on these other platforms. Lufthansa Industry Solutions had been delivering new features for its innovation management app without automated testing of any kind. They knew this needed to change to maintain quality and avoid regressions. Working with Microsoft, they explored best practices for implementing this testing into their build-and-release pipeline. 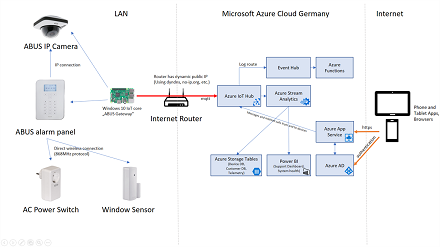 Microsoft joined ABUS Security-Center GmbH & Co. KG to develop an IoT solution that helps ABUS to securely connect their security devices to the Azure cloud in Germany and to envision a new generation of ABUS connected devices. Redback Technologies and Microsoft used Visual Studio Team Services to implement DevOps practices around blockchain development. This groundbreaking work allowed for automatic continuous integration and testing of smart contracts to occur in the cloud. 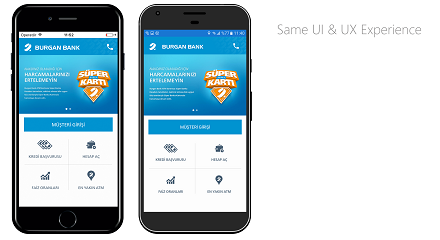 Burgan Bank, together with Microsoft, used Xamarin to develop a fully functional consumer mobile banking application. Use of the Desktop Bridge brought the Hogia Lön solution into the UWP space and made it eligible for the Windows Store. 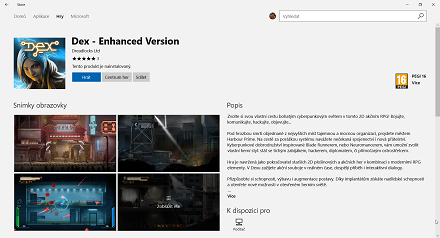 Developers can use the Desktop Bridge to convert and publish their Win32 apps to the Windows Store. Learn the process of converting a Unity game using Advanced Installer, adding Live Tile updates to it, and publishing to the store. Microsoft France and Equadex partnered to help people with language disorders related to autism, dysphasia, or Alzheimer's disease by using Cognitive Services to automate image recognition in their Helpicto application. This Costa Rica ISV wanted to convert existing apps to UWP and simplify deployment and updates. Desktop Bridge and Intune make this easy. 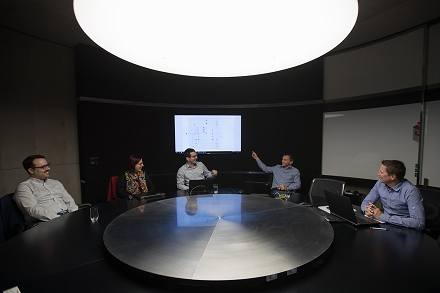 ENGIE Cofely used Azure IoT Hub to retrieve production data, and leveraged Azure Time Series Insights, Azure Machine Learning, and Azure Batch to visualize and operationalize data analysis written as R scripts by LOB teams. 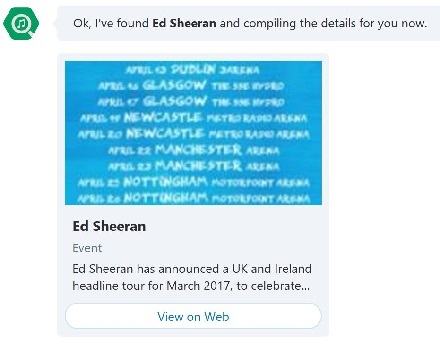 The bot lets users find information on performers, where and when they are playing, and nearby live music events. It also can help gigseekr build brand identity. This project brings Caylent's container management offering and DevOps capabilities to Azure by using Azure Resource Manager (ARM) templates, REST APIs, and Azure Functions. 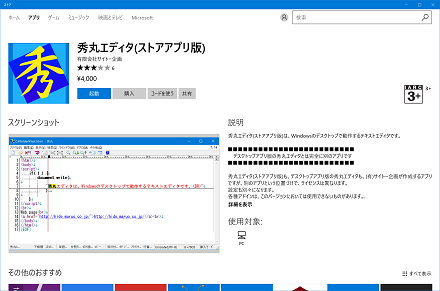 Saito Kikaku wanted to meet the demand for a Windows Store version of its successful text editor software. With Desktop Bridge and a lot of communication, Saito Kikaku and Microsoft worked through the conversion process. Microsoft helps an ISV convert its point of sales application, which is part of an ERP suite, to the Universal Windows Platform by using the Windows Desktop Bridge. 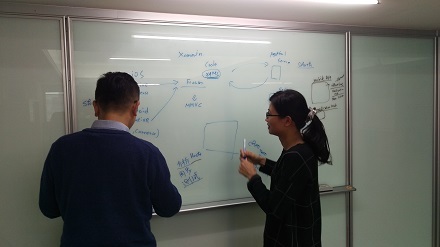 A Microsoft hackfest helps a Taiwan e-learning leader build a media content management process as they expand their self-learning services. 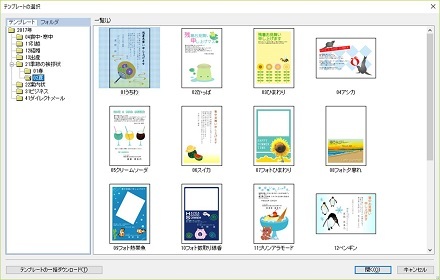 RootPro wanted to meet the demand for a Windows Store version of its successful Hagaki Sakka greeting card software. 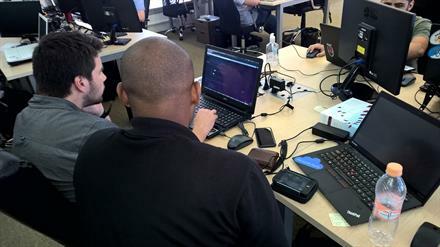 Beginning with a hackfest, RootPro and Microsoft worked through the conversion process. Prodata and Microsoft worked together to architect and build an IoT backend in the cloud to process telemetry and financial events from Prodata’s bus ticketing system in São Paulo, Brazil. To deliver that, we used Azure IoT Hub, Azure Event Hubs, Azure Functions, and Azure Table storage. WealthArc wanted to simplify its software development and release processes, consolidate and unify tools for each team, and take the first step toward cloud automation. On DevOps-focused hackfests, Microsoft helped WealthArc save time for nonpure development tasks in several areas by adopting DevOps best practices. Clientscape worked with Microsoft to review their value chain from the bottom up in an effort to bring efficiency to their DevOps processes. Adopting a fully automated process and new technologies seemed impossible, yet it changed their world. With Desktop Bridge, TeamViewer was able to begin distributing its new Blizz team collaboration app through an additional channel, the Windows Store. 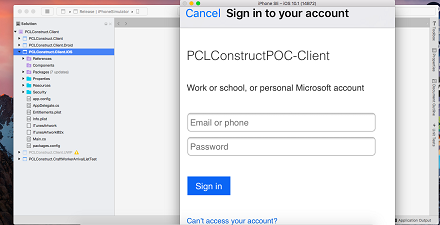 PCL Construction partnered with Microsoft to digitize their manual new-hire onboarding process. Microsoft and ZPMC teamed up to bring the ZPMC port-machinery business to the next level with Azure IoT services. 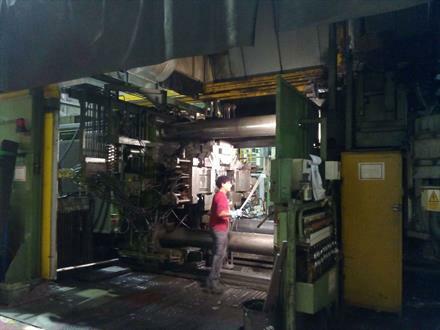 Fagor Ederlan is looking to improve its aluminum injection molding process to detect defective pieces earlier and enhance the overall quality. This project demonstrates that it's not complex to send data to the cloud using secure and reliable services, analyze the data, and build maching learning models to extract knowledge from it. Microsoft worked with Zion China to re-architect its mobile diabetes-monitoring solution. See how they used IoT Hub and other Azure services to enhance the solution for patients and healthcare professionals. Microsoft helped f.lux bring their app, which adjusts computer display lighting to the time of day, to the Windows Store. 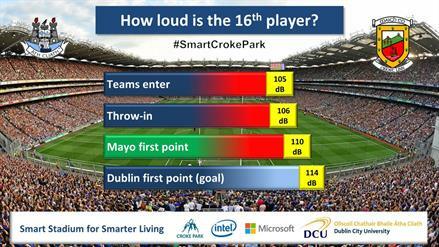 In a continuation of the Croke Park Smart Stadium project, a team developed a Machine Learning model for monitoring stadium sound that stripped out the external factors and presented more accurate data in the form of Power BI Embedded reports. The Buenos Aires city government partnered with Microsoft to build an innovative IoT solution that used a fleet of drones to audit the pollution in the Matanza-Riachuelo River. 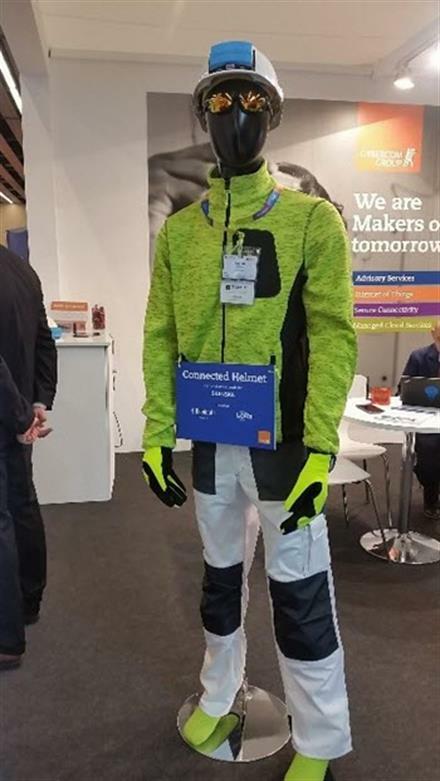 During a hackfest with Microsoft, Powel implemented a solution to help technical staff perform hands-free inspection of electrical grids in Norway. 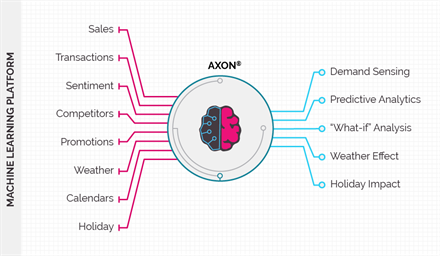 NEXCOM is looking to adopt IoT technologies and undergo a digital transformation. 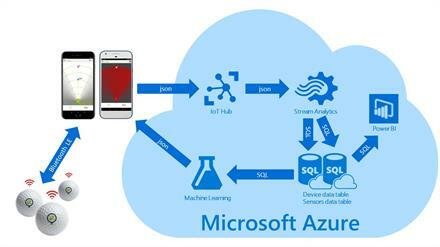 They worked with Microsoft to build an Azure IoT solution and smooth out any technical issues that arose along the way. The joint effort saved NEXCOM months of build time. 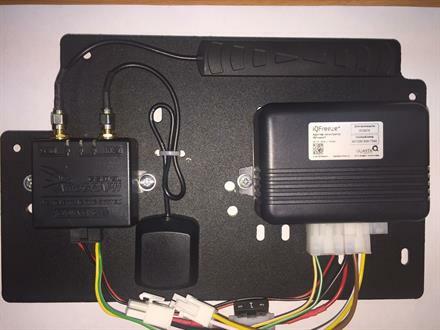 In this IoT hackfest, Microsoft teamed up with Tyre Express to connect their tire monitoring solution to the Azure cloud. The Croke Park Smart Stadium project is a collaborative effort to boost innovation around IoT. Sensors and gateways have been strategically positioned around the Dublin stadium to enable environmental monitoring, safety, and fan experience use cases. 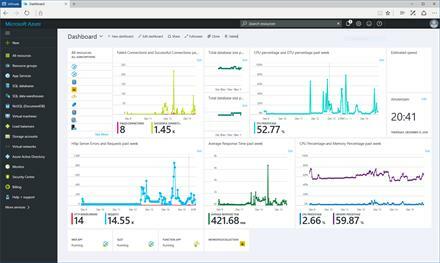 This diverse collection of data, which is stored on the Azure cloud platform, provides stadium management with real, actionable insights. 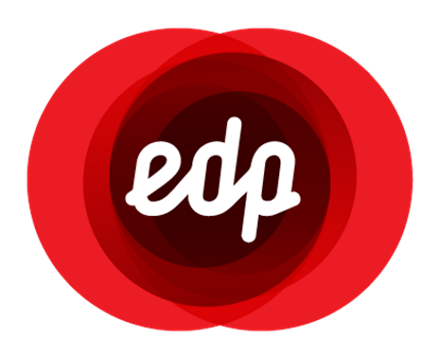 EDP, a leading energy producer in Portugal, wants to challenge startups to create an inexpensive end-user solution that enables customers to collect data on home energy consumption and explore ways of using the information. 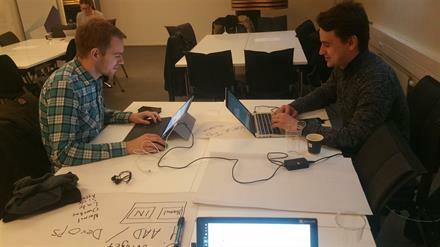 EDP decided the best approach to such a challenge would be through a public hackathon, and its team worked with Microsoft to prepare for the event. Link Development and Microsoft used Azure App Service to develop and deliver ALEXBANK's digital marketplace for small and medium-sized enterprises. This article describes how we converted an Adobe AIR tax application to a UWP app and published it in the Windows Store, including issues we found on the way and how we fixed them. Thermoplan teamed up with Microsoft and bbv Software Services to enable a professional coffee machine to be managed remotely, tracked for usage, and maintained by using Azure IoT Hub, Azure Stream Analytics, and Azure Data Lake. 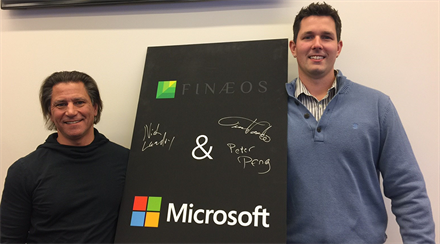 Finaeos adopted Xamarin.Forms to extend their current web-based modular FinTech solution rather than build multiple native versions. Aegex Technologies and Microsoft worked together to build a Xamarin app for viewing device data in hazardous worksites to potentially save lives. Iomote developed a way to communicate by voice with your kitchen, leveraging Azure IoT technologies for predictive and remote monitoring. 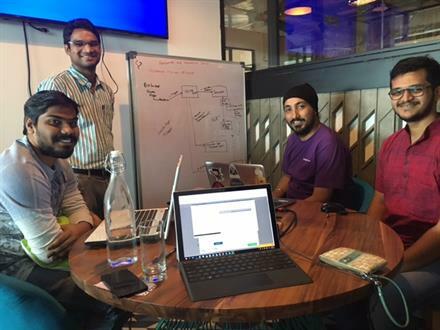 In this IoT hackfest, Microsoft teamed up with MoveInSync to help migrate a vehicle tracking solution to the Azure cloud platform from AWS. Microsoft teamed up with Origis to create a mobile app and device that enables elderly pharmacy clients to receive their prescriptions and medical supplies at home. 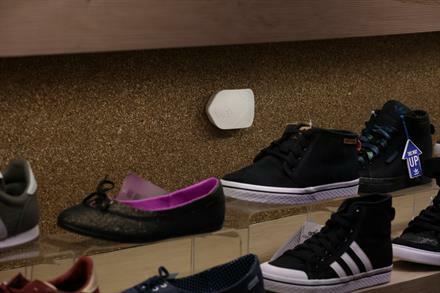 Poi Labs has 15,000 Bluetooth beacons across cities within Turkey for navigation and tracking purposes. Because the workload generated by one of its clients was going to create a huge load on the on-premises architecture, scaling the back end was crucial. To address this, Poi Labs worked with Microsoft to modernize its back-end system with Azure App Service. 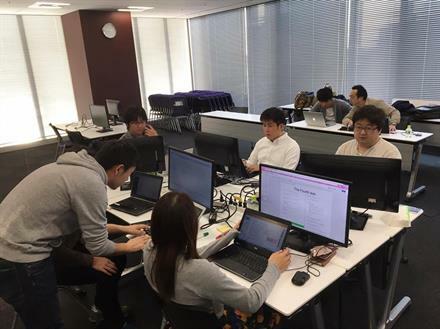 In this IoT hackfest, Microsoft worked with Nihon Unisys to develop an IoT solution for the manufacturing industry using Azure Data Factory, Azure Machine Learning, and Power BI. This article and project is about building a Xamarin-based cross-platform app and integrating it with Cognitive Services and a bot developed by using the Direct Line API from the Microsoft Bot Framework. 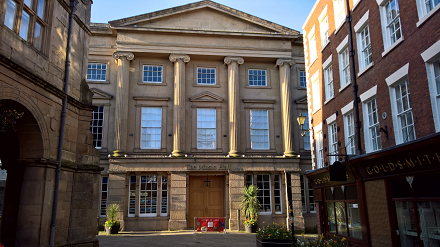 Microsoft helped Softplan insert Power BI Embedded reports into its SAJ desktop application to provide the court system with accurate and timely information. 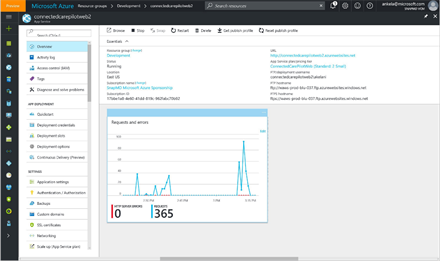 Rock in Rio created a mechanism to ensure new versions of their website are correctly deployed to a pool of virtual machines by using autoscaling based on virtual machine scale sets in Azure. Niniejsze studium przypadku pokazuje, w jaki sposób platforma bankowości dla małych i średnich przedsiębiorstw została zbudowana w oparciu o chmurę Microsoft Azure, korzystając z wielu różnych technologii, takich jak usługa Azure App Service, Azure Functions. 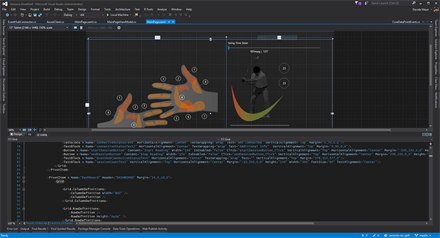 Dodatkowo wszystko jest koordynowane i wdrażane z Visual Studio Team Services. 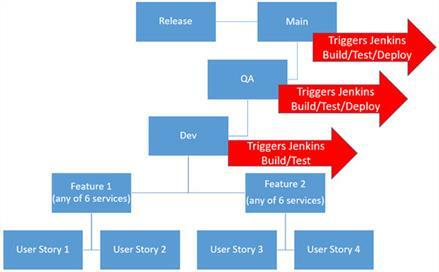 Today the integration of automated tests with Visual Studio test plans is available only for .NET projects. If you have a Java project, you can't associate your unit tests with the test plan items. 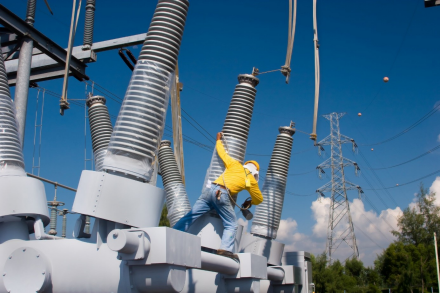 This article discusses a solution to link single Java unit tests with a test plan. 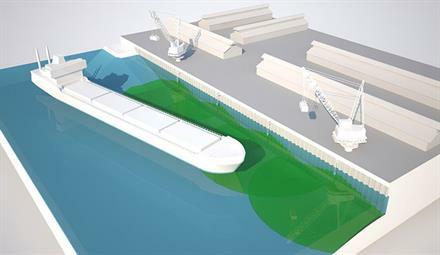 During a hackfest with Microsoft, Kongsberg tested an IoT solution that will provide their customers up-to-date data to make better, safer management decisions about loading conditions prior to a vessel's arrival and how much to load while berthed. WealthArc chciał uprościć proces tworzenia i wydawania oprogramowania, skonsolidować i ujednolicić narzędzia dla każdego zespołu oraz podjąć pierwsze kroki w kierunku automatyzacji w chmurze. Microsoft na warsztacie zorientowanym na DevOps pomógł firmie WealthArc w kilku obszarach opartych na praktykach DevOps, aby zwiększyć efektywność procesu związanego z rozwojem oprogramowania. 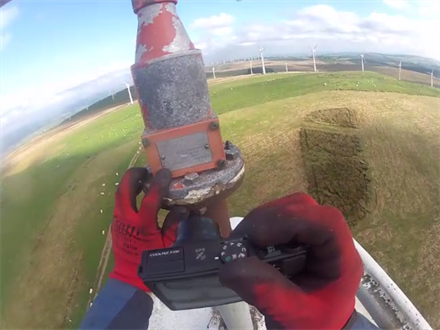 DroneWorks Inc. worked with Microsoft to build a cloud-based Safety Flight Platform for industrial drones by utilizing Azure IoT Hub, Azure IoT Gateway SDK, Azure Stream Analytics, and other Azure services. Kinetic Software and Microsoft teamed up to build a Xamarin.Forms revision of the StopJetLag app and a back end using Azure App Service. This helped reduce the cost and management overhead of the app that creates customized StopJetLag plans for travelers. The Emirates Air Line cable car is a 1.5-km crossing of the Thames in London, with 32 cabins bridging the North Greenwich peninsula and Royal Victoria docks. The challenge is to provide instrumentation of the cabin conditions during the crossing, and Wi-Fi across the width of the crossing and within the two stations. With its app, LISA has created an open marketplace for clients to select beauty services at a time and price of their choosing. Microsoft worked with LISA to develop a universal logging service for all LISA application components and resources, with Azure Log Analytics serving as the foundation. 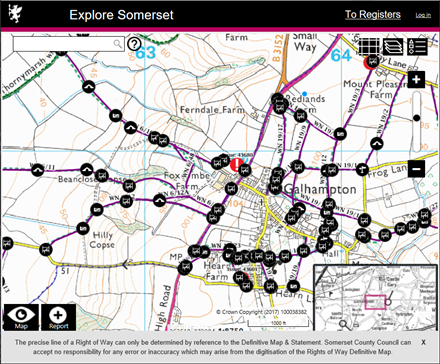 Somerset County Council wanted to migrate their on-premises mapping solution to Azure. We did this by using Azure Database for PostgreSQL, Visual Studio Team Services, Azure App Service, and Docker. 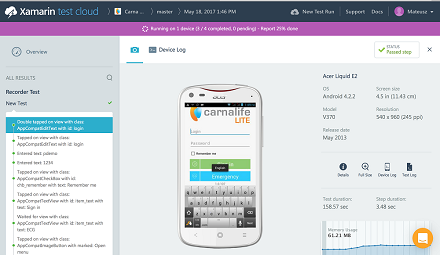 Microsoft helped Soremar quickly deliver an affordable satellite-messaging application relying on Azure and a Xamarin application for Android. Microsoft worked with Cyberesa to implement a highly available online booking solution that automatically scales to adapt to all load spikes while providing a faster, more reliable release management cycle. 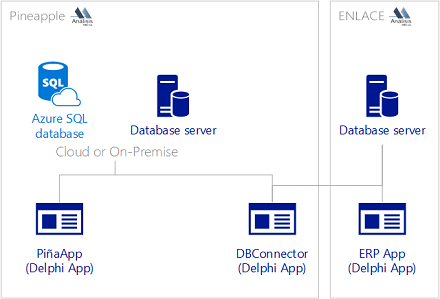 Microsoft partnered with a leader in the automotive industry to work on improving the way they are releasing their Master Data Management application by using Visual Studio Team Services and Jenkins through a DevOps practice implementation. Microsoft and Athena Intelligence used Power BI analytics to bring statistics about water usage and distribution across the state of California to Athena's customers, providing an unprecedented level of detail. Content Avenue partnered with Microsoft to work on a modern cloud architecture for their collaborative content platform, thanks to open-source technologies and managed application services on Microsoft Azure. KingwayTek, the number one navigation and map service provider in Taiwan, teamed up with Microsoft to develop a new personalized driving experience service. Microsoft and Mórbido worked together to provide a new channel for horror and science-fiction movies through a Xamarin app that offers video streaming, podcasts, news, and more. In February 2017, viaSport British Columbia partnered with Microsoft to build a proof-of-concept conversational interface and analytics dashboard for their newest inclusive sport initiative. 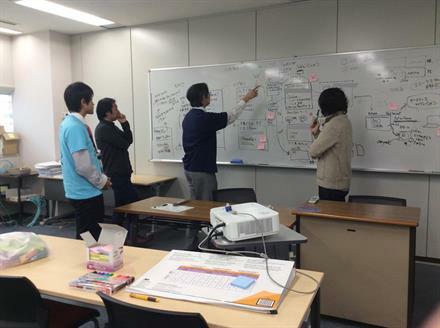 NAVITIME JAPAN wanted faster design, testing, integration, and deployment—and got what they wanted by implementing advanced DevOps practices and migrating to Azure. CELSYS wanted to meet the demand for a Windows Store version of its successful CLIP STUDIO PAINT animation software. Beginning with a hackfest, CELSYS and Microsoft worked through the conversion process. 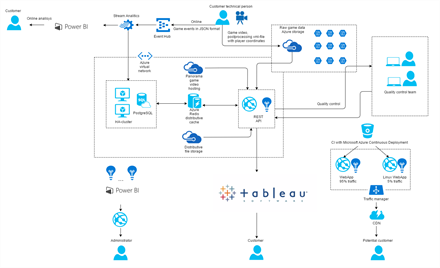 Microsoft worked with SnapBizz to design, deploy, and render Power BI Embedded reports, reducing management time and enabling future cross-platform integration. Microsoft worked together with the startup 17 Minds to create an Azure IoT solution complete with a gateway for their child sleep management system. 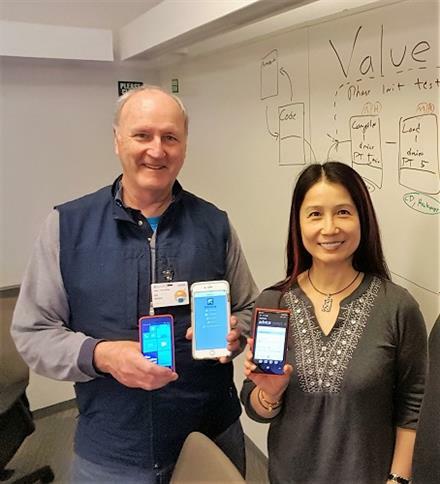 The Connecticut Coalition to End Homelessness partnered with Microsoft to develop a mobile cross-platform app using Xamarin.Forms and Azure for use in the Point-in-Time Count, a major one-night survey of homeless persons. The app provided a dynamic questionnaire on a mobile screen based on survey questions pulled from the cloud. Microsoft partnered with Vacay to provide scalable Web Apps in Azure App Service and a build system for Android development in Visual Studio Team Services. LogiCloud and Microsoft worked together to bring an interactive dashboard to its supply-chain collaboration platform with the use of Power BI Embedded. 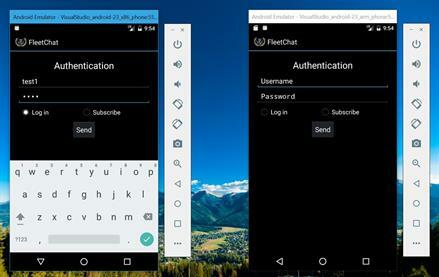 Microsoft teamed up with NetEase Youdao to bring the popular dictionary app, Youdao Dictionary, to the Universal Windows Platform (UWP) by using Desktop Bridge. Scalability and availability are important in cloud services, but so is affordability. By using Azure Functions, Data Systems Consulting lowered the cost of provisioning new customers. Microsoft teamed up with ISV Financial Express to help them use Power BI Embedded to encourage customers to explore large volumes of financial information quickly and easily. Kingston Technology wants to ensure the quality of their Xamarin apps and efficiently deliver the apps to their employees. 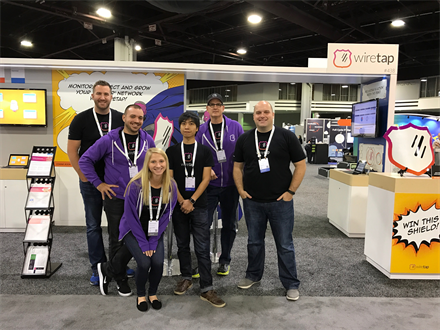 Visual Studio Team Services enhances their process and easily integrates with MacinCloud, Xamarin Test Cloud, and HockeyApp. Game developer Icebird Studios was looking for a way to orchestrate and scale its game server globally. 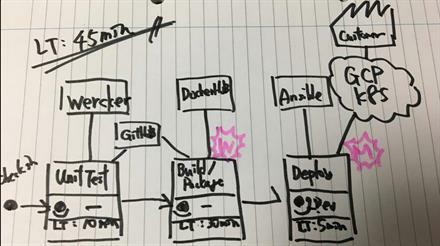 A hackfest with Microsoft helped identify a solution using Docker, Azure, and DevOps practices, which resulted in a reliable way to deploy new infrastructure to Azure. Microsoft teamed up with Quantum Technologies, an Astro Reality company, to develop a backend server to host their services and create a management portal for operators to configure systems and update content. In this study, we developed and de-risked the WindInspector application suite, which contains a Xamarin tablet app, a Windows Presentation Foundation (WPF) desktop app, and an Azure App Service backend. 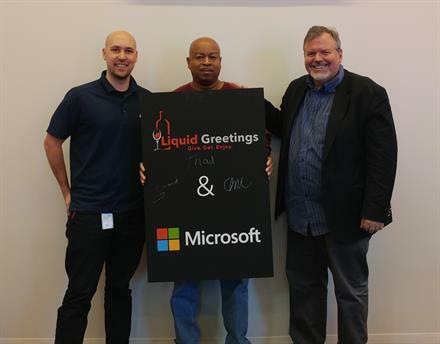 Liquid Greetings and Microsoft built a mobile app using Xamarin and Azure that will allow subscribers to treat their friends to their favorite beverages. Netpartners leveraged Power BI Embedded for its new Sales Assistant solution, which will deliver customized sales reports to hundreds of customers. 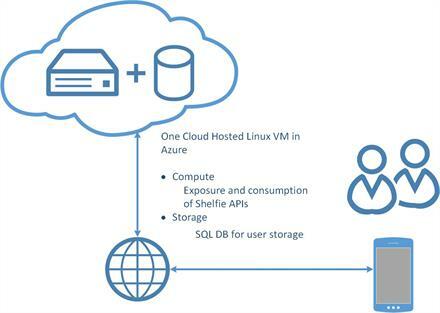 Microsoft teamed up with SnapMD—an LA-based startup—to migrate their technology stack from a private server to Microsoft Azure and to take advantage of Azure platform-as-a-service features to host their core workloads. 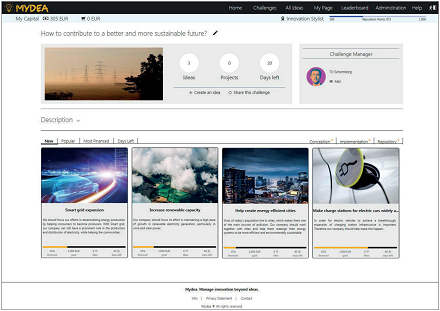 Using a solution that leverages Azure Functions and Cognitive Services, a BlueBolt Solutions search product allows users to define search elements across extensive collections of articles and automatically assign tags, potentially saving hundreds of work hours. 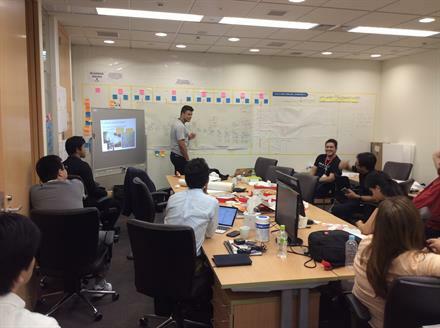 By adding data from IoT presence sensors, Ryoka Systems enhanced their meeting-room availability solution. Microsoft teamed up with CADEX, a CAD data-conversion company, to help migrate its 3D visualization/conversion software to Azure. Microsoft joined Future Technologies in Sport, Inc (FTIS) to develop an IoT solution that reduces latency in gathering feedback for both technique and performance during practice sessions for sporting professionals. RealBox Data Analytics, working with Microsoft, developed an end-to-end solution for a cinema to enable its customers to order food from their personal devices and enjoy a comfortable movie-going experience. 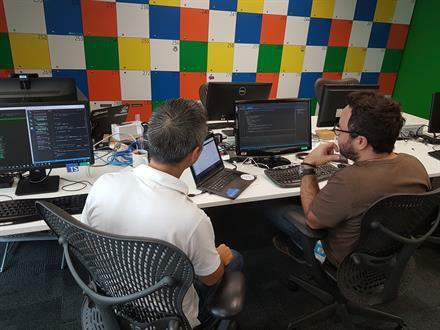 At a recent DevOps hackfest, Microsoft helped xenodata lab migrate to Azure and create a continuous integration/continuous deployment pipeline to enable automated deployment using Visual Studio Team Services. 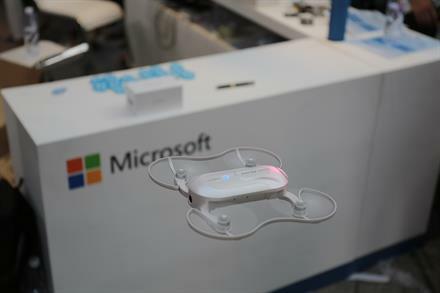 Microsoft helped Zerotech devise an IoT solution to create a smart pocket drone and add fun features based on Azure back-end services. Lab4U wanted to streamline its dev process to speed up new releases of its science education apps. 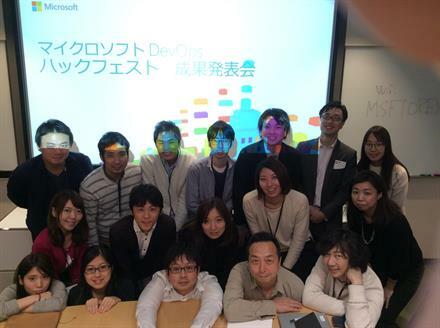 Working with Microsoft, Lab4U was able to implement DevOps practices that cut its sprint cycle time by half. 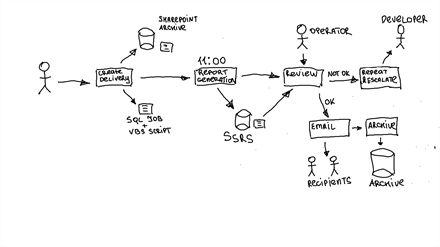 Time management supplier Norsk Tid joined Microsoft in a hackfest to implement new app functionality such as geolocation, notification, and a widget, in addition to setting up new DevOps practices. 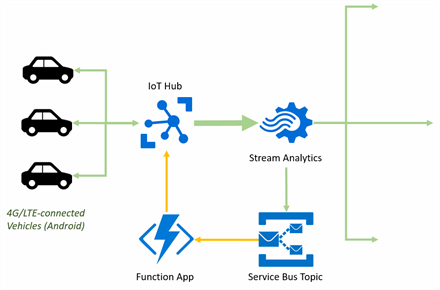 In a joint development effort, Microsoft worked with Homebase to develop the next stage of its product roadmap, demonstrating how Homebase could leverage Azure IoT Hub and Azure Stream Analytics to store, analyze, and act on IoT data. 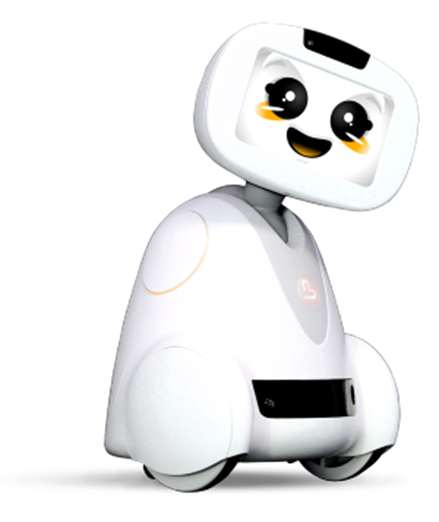 Avatarion Technology is running a pilot project that helps hospitalized children stay in touch with home and school through the use of robots. 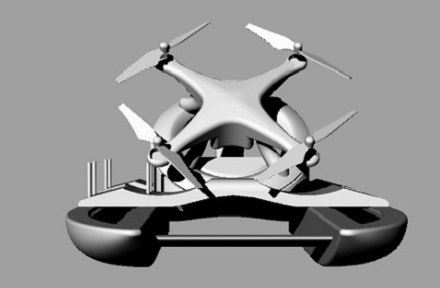 It needed a way to collect telemetry data from the robots and interact with them remotely. 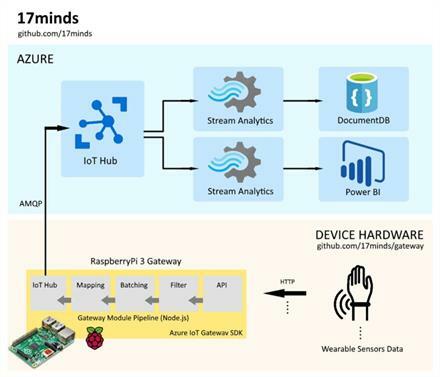 Working with Microsoft, they turned to an IoT solution using IoT Hub, Stream Analytics, and Power BI. 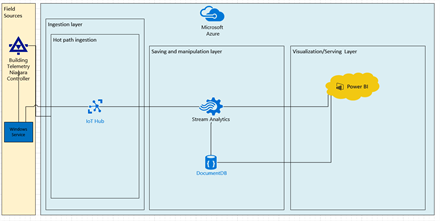 Microsoft assisted Asseco Solutions in extending a service application with modern visualization built on top of Power BI Embedded in Microsoft Azure. 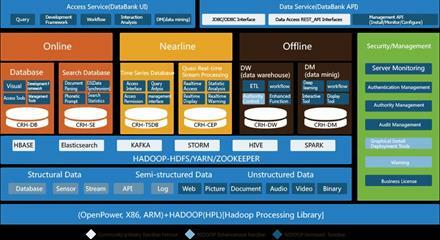 The complex visualizations provide a set of views on IoT data generated from machines located at customer venues. 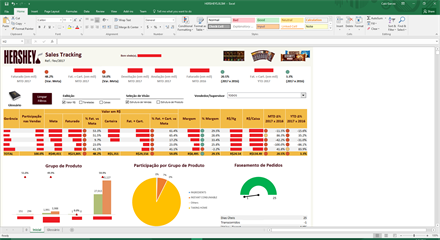 This project had the key goal of switching all SSRS reports into Power BI reports and using Power BI Embedded to display these reports in a Silverlight application. It also implemented the key feature of allowing users to upload and instantly view their own Power BI reports in the web application. 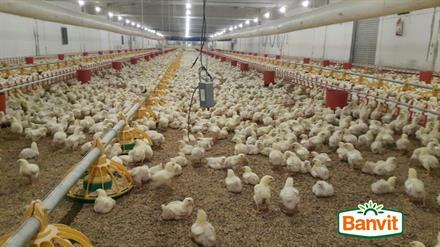 PeakUp, together with Microsoft, developed a "connected chicken" IoT solution using Azure services that will enable central monitoring and better control of conditions in poultry farms. LiveArena delivers a video recording product that makes it easy, efficient, and affordable for companies to produce their own TV channels and provide on-demand videos. Microsoft partnered with LiveArena and Triona to write mobile front ends and Xbox apps using Xamarin. Dans un soucis d'efficacité, Jamespot et Microsoft se sont associés pour développer et fournir aux clients Jamespot, un connecteur Groups Office 365, alliant sécurité, robustesse et efficactité. 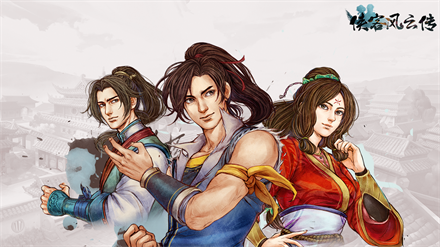 Bypassing the need to upgrade the game engine, BianFeng brought their famous game to the Windows Store by using the Desktop Bridge and guidance from Microsoft. 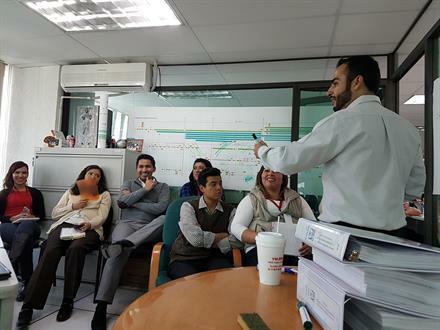 Mexico's IMSS agency is implementing processes to manage its complex systems and comply with government requirements. In this project, Microsoft worked with an IMSS team to adopt DevOps practices for Java projects. Beijer Automotive and Microsoft conducted a hackfest to determine whether it is possible to send very large amounts of data to Azure and to receive and process that data. 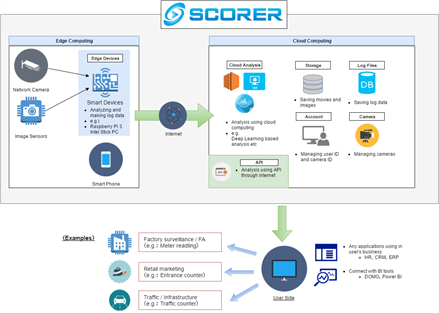 Beijer needed a solution for ingesting car-sensor data into Azure in order to turn the data into useful information and alerts. 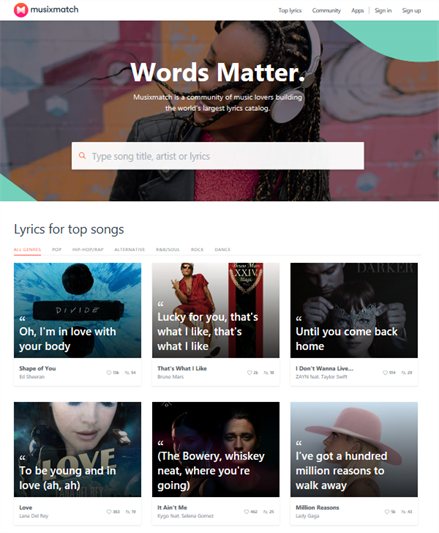 Musixmatch, one of the most popular lyrics apps worldwide, leveraged Desktop Bridge to bring their Win32 application to the Windows Store. The app was developed with Electron; read on for an explanation of the conversion process. Microsoft teamed up with RockStep to deliver real-time IoT data to their labs through Power BI Embedded. Smart Helmet, built by Cybercom, helps make construction sites safer by providing live, wireless monitoring, panic buttons, and multiple sensors. The solution sends telemetry from an LPWAN to the cloud and processes data in Azure. KingwayTek, the top navigation and map-service provider in Taiwan, is developing a personalized driving-experiences system. 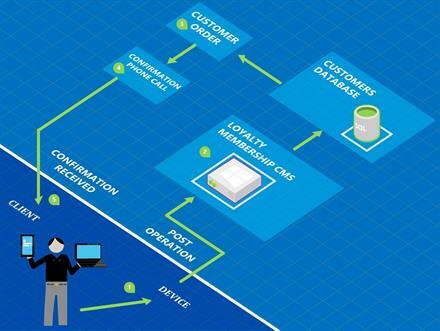 With Microsoft, they identified the appropriate Azure services to enhance data flow. 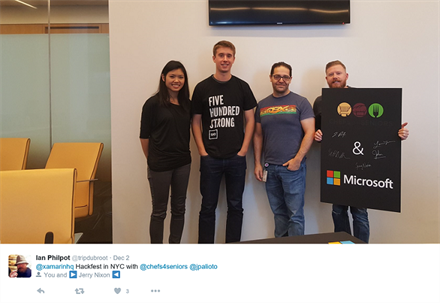 When We Carpool wanted to migrate its platform PHP back end to Azure, Microsoft helped with the solution. The platform now has continuous delivery from Visual Studio Team Services to Azure. 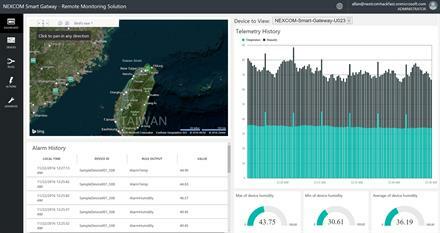 Taka Solutions implemented a building energy-management IoT solution that uses Azure IoT Hub and Stream Analytics to centralize telemetry from multiple buildings for visualization and analytics. 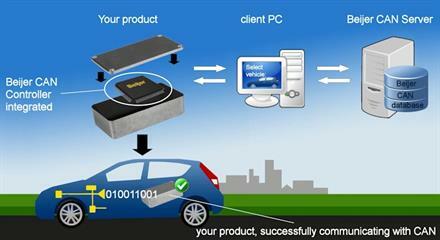 Its ultimate goal is to reduce the world's energy consumption. Microsoft France and ENGIE Global Energy Markets partnered to migrate the first of its applications to Azure. 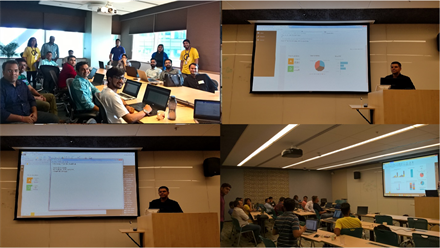 Leveraging Azure App Service and Azure Functions, the hackfest team also addressed topics such as security, scheduled execution, and monitoring. Microsoft worked with CIMTOPS to create a IoT solution that remotely monitors numerically controlled machine tools. JYP Entertainment wanted to speed deployment and better handle unexpected bursts of traffic. 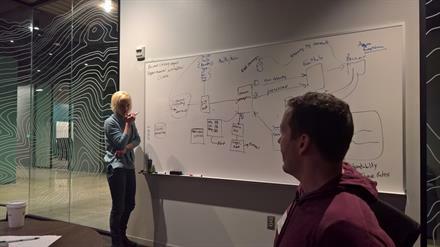 A DevOps-focused hackfest with Microsoft delivered impressive results. 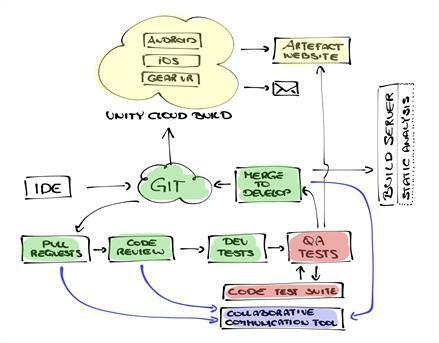 With help from Microsoft, GoodbyeWorld Games implemented a DevOps solution that automated its build process, speeding up and improving its development pipeline. 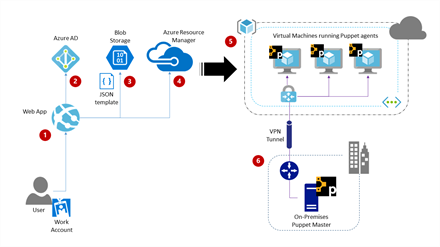 RISCO Group and Microsoft built a web portal for deploying cloud environments in a one-click process using Azure App Service, Azure Resource Manager, and Puppet. ZingHR teamed up with Microsoft to bring interactive reports to their HR application by using Power BI Embedded. As it moves to embrace Microsoft Azure, CGI Federal seized upon the opportunity to leverage new tools and approaches to optimize the software lifecycle for its products, both in the cloud and on-premises. 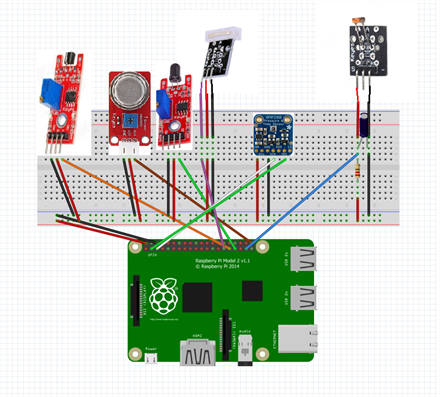 MakersKit, a do-it-yourself project kit startup, joined with Microsoft to build a custom tutorial player using Node.js and Socket.io hosted on Azure App Service and Azure Media Services. 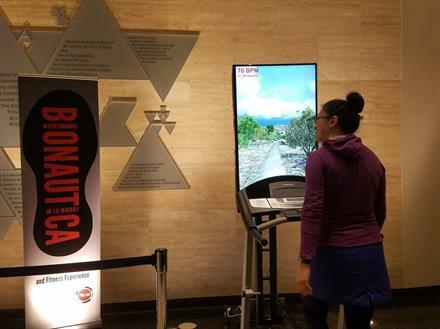 In this joint development effort, Microsoft teamed up with Plas.md, a Philadelphia startup, to help prototype an IoT solution for their exercise and physical therapy application, BioNautica. Microsoft joined up with View360 Technologies to design, deploy, and render Power BI Embedded reports to reduce development efforts, provide flexibility, and improve the customer experience. 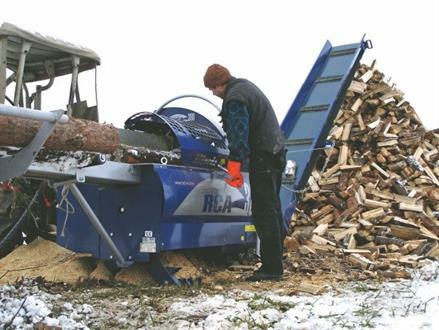 Microsoft worked with Tajfun in Slovenia to develop a multitenant Azure-based solution for its machines that can help lumberjacks and forest owners increase productivity and returns while reducing maintenance and operations costs. 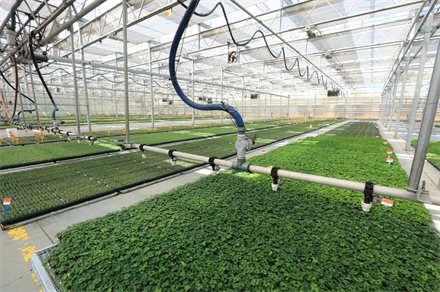 SERAKU and Microsoft reconfigure an agricultural cloud using IoT Hub and Stream Analytics, aiming to facilitate a growing number of users and reduce operational costs. Microsoft teamed up with Ritter Insurance Marketing to bring Power BI analytics to customers using its Quote Engine service. Nexosis wants to optimize the time a new feature takes going from ideation and into their customers' hands, using the DevOps practices of Infrastructure as Code, continuous integration, and automated testing. Microsoft partnered with KPMG Healthcare to help develop an analytics platform that provides a secure front-end reporting solution with Power BI Embedded. This platform makes actionable insights available to a wide range of care staff. Redoop and Microsoft, working together, used Azure Resource Manager templates to help customers quickly and easily deploy Hadoop clusters and large-scale nodes. 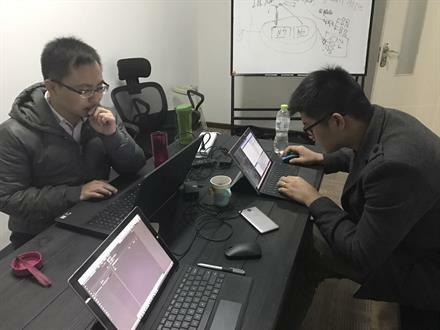 This team effort also enabled Redoop to publish its solution to the Azure Marketplace in China. Setouchi Holdings needed to improve the scalability of their pipeline. 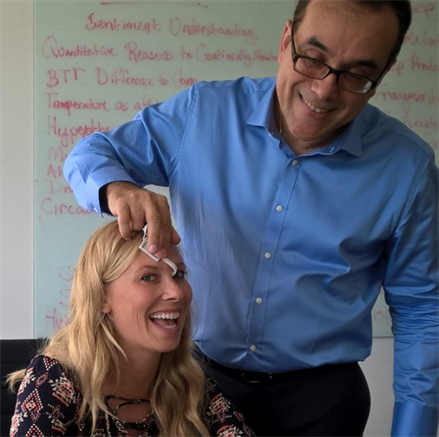 CI&T, Creationline, and Microsoft used the Web Apps and API Apps features of Azure and Visual Studio Team Services to quickly solve pain points. DevOps practices help B2B startup Rockmetric reduce deployment time from days to minutes using VSTS and Packer. This report details the implementation and the business impact of establishing key DevOps practices for Rockmetric. 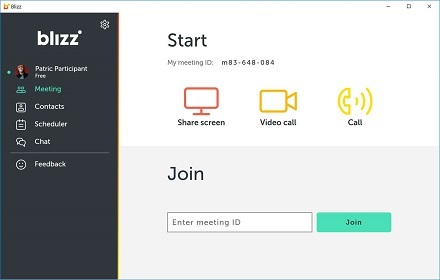 Digital marketing provider AnRuiZhuoYue worked with Microsoft to develop an intelligent conference-management system with facial registration and check-in functions, based on a WeChat app and using Azure App Service features. CAST Highlight is a solution that measures the risk, complexity, and cost of application portfolios. CAST and Microsoft added rules that assess the ability of codebases to migrate to Azure—and then moved the solution itself to Azure. 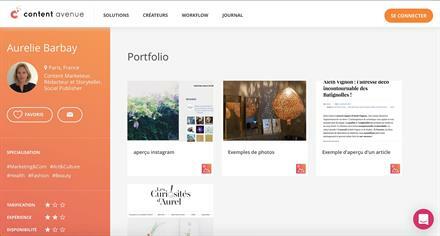 Microsoft and Rivendel joined efforts to provide Brazilian news website Catraca Livre with the means to perform A/B tests for ad placement optimization using OSS technologies on Azure. 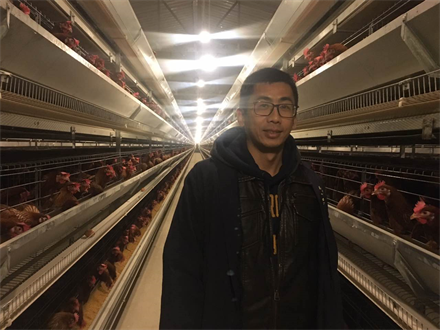 New Hope Liuhe, a leading Chinese agricultural company, reached out to Ye Fan Technology and Microsoft for an IoT solution that could provide automatic, real-time remote monitoring and environmental control of chicken farming facilities. Microsoft collaborated with Senparc, a development partner of WeChat (the most popular digital-marketing channel in China), to develop a digital-marketing management system based on the WeChat app. ADAM Software and Microsoft worked together to optimize ADAM Software's build and release pipeline. This report details the DevOps practices that were implemented for a complex Smart Content Hub marketing solution. Together with Microsoft, EDP Software moved its workforce-scheduling system to a PaaS solution, allowing it to concentrate on the project as opposed to the infrastructure. 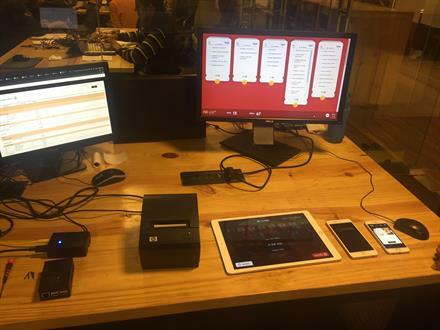 Microsoft and Alterbooth conducted a joint hackfest to introduce DevOps practices into Alterbooth's new sauce-ordering and customizing service. Microsoft worked with BTT Corp to develop a solution to help with brain thermal tunnel pattern recognition. 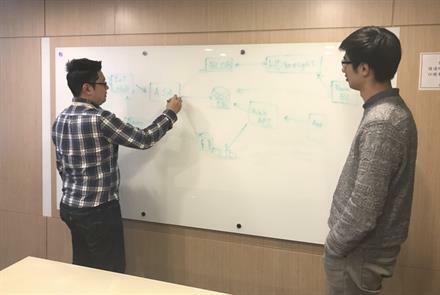 JCBLE, in cooperation with Microsoft, developed an IoT solution that reduces operating and maintenance costs for civilian natural-gas usage. This article details the implementation of a cross-platform mobile application built in Xamarin that takes vector map data from an API and renders it using Xamarin.Forms. Tofugear, an IoT startup, worked with Microsoft to re-architect its Omnitech retail platform solution, gaining both scalability and a dashboard for improved customer analytics. ArabSea, an SMB financial-solutions provider, migrated Windows services from IaaS to PaaS using Azure Functions. The result: enhanced efficiency of both development and operation. Future Standard offers a one-stop IoT solution for collecting, analyzing, viewing, and acting on data with ease. 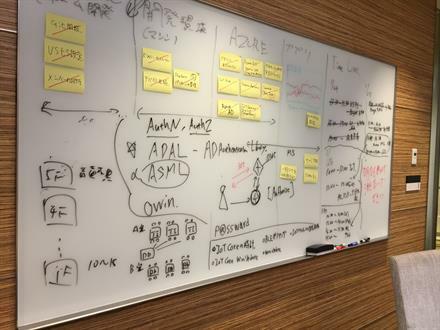 To offer customers an Azure-based solution, Future Standard and Microsoft created a prototype during a two-day hackfest. Microsoft teamed up with GTI, a leading IoT platform and service provider headquartered in Beijing, to develop the "big data" platform used in its Smart City solution, which enables data-driven city operation. 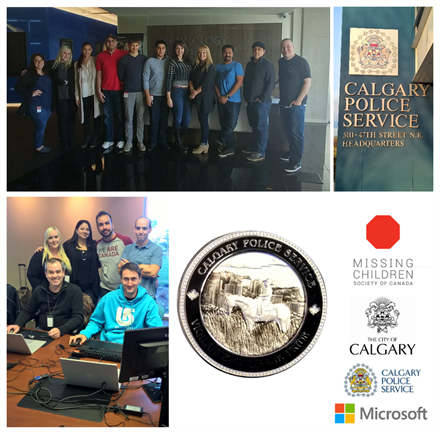 Alongside members of the City of Calgary and Calgary Police, Missing Children Society of Canada partnered with Microsoft in an innovation workshop to understand how Azure Functions, Xamarin, and DevOps best practices can better address their need to quickly provide police with information about children who are reported missing. 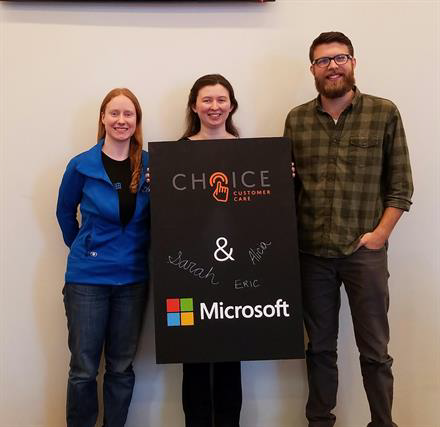 Microsoft and Chefs For Seniors teamed up to build a Xamarin app and website that would facilitate chef operations. 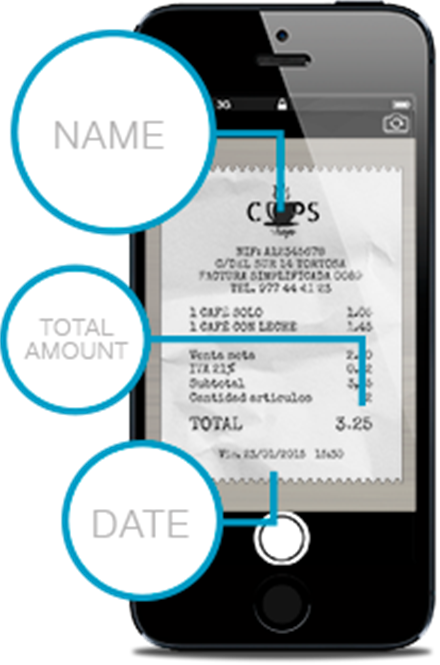 The Xamarin app shows chefs the menus they need to prepare for their clients and provides them grocery lists with the ability to mark items as purchased. Transnet delivers thousands of tons of goods across South Africa. It aims to innovate fast and provide quality solutions. The introduction of DevOps will help reduce costs of delivering products, and creating new, scalable IoT solutions will help Transnet leverage the company assets more effectively. 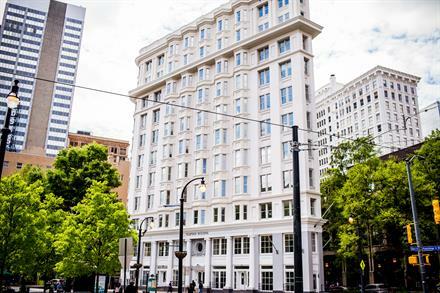 Homitat was looking to automate sending comprehensive messages to Office 365 groups for subscribed users of its location-rating app for home buyers and renters. 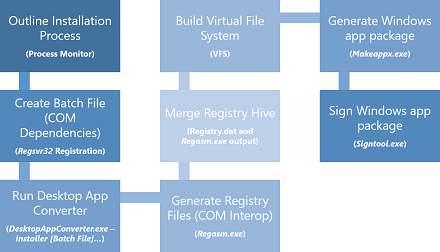 Microsoft helped integrate the group registration process into the Homitat website. 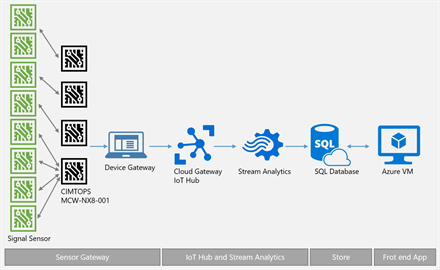 In a joint development effort, Microsoft worked with Proxfinity to develop a proof of concept that demonstrates how Proxfinity can leverage Azure IoT Hub and Azure Stream Analytics to support its migration from Parse. Microsoft teamed up with Choice Customer Care to streamline the process of patients requesting help in hospital emergency rooms via a web-based API and a Xamarin.Forms cross-platform mobile application. This article describes the development process and the outcomes. 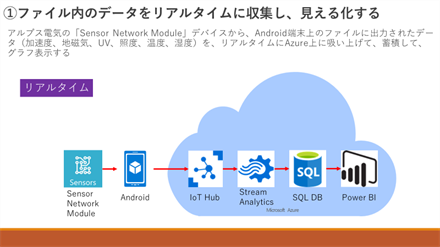 In this IoT hackfest, Microsoft teamed up with View360 Technologies to connect its telecom tower monitoring solution to the Azure cloud platform from AWS. MB3M worked with Microsoft to design a solution using Power BI Embedded that enhances a customer portal website and improves reporting options for travel agencies. Chip-ing is building a smart, connected golf ball. This article describes the PoC created during a hackfest with Microsoft for acquiring, storing, and analyzing the data captured by the golf ball and the accompanying mobile app. 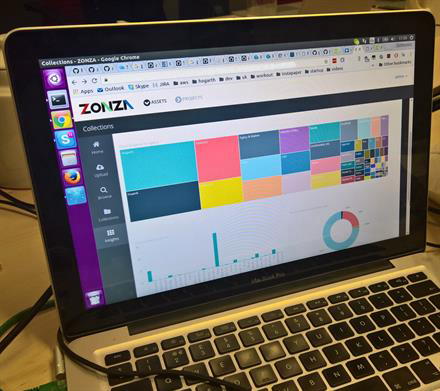 In a joint effort with Microsoft, Hogarth built out a proof of concept with Power BI Embedded inside its Zonza digital asset management application to give customers more information about the assets they store. Learn how the Bestie app allows Kompis Sverige to accelerate and scale its work to integrate people who have found safety in Sweden. 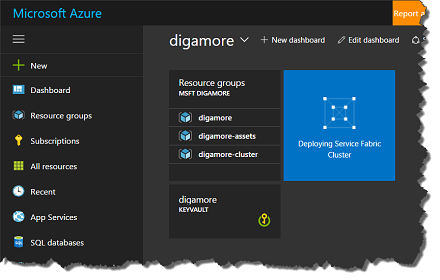 This solution is powered by components such as Azure App Service and Power BI Embedded. Developing cross-platform AR apps is much more effective with a valid DevOps chain in place. That's why RE'FLEKT and Microsoft teamed up to implement an end-to-end solution. Hark is an IoT startup that moved from using traditional IaaS to Azure PaaS, enabling it to concentrate on its application rather than the infrastructure. As Blue Frog Robotics prepares to deploy Buddy, the companion robot, it staged a hackfest with Microsoft DX France to design and build a cloud solution that is economical while providing the optimum level of services. 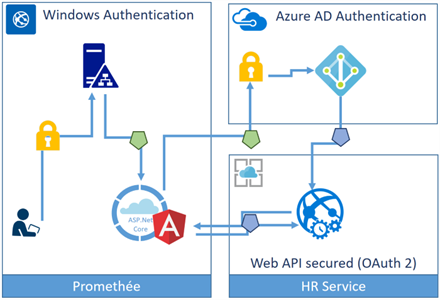 Pour les besoins du centre de recherche ENGIE LAB CRIGEN, Microsoft les a accompagné dans la mise en place d'une plateforme d'hébergement d'application totalement automatisée et basée sur des conteneurs Docker, dans Microsoft Azure. 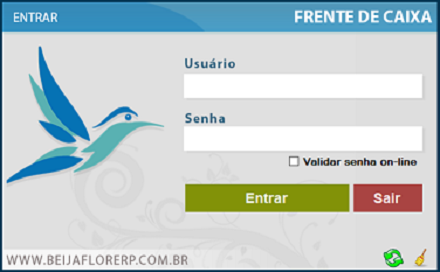 O projeto WeMeter da Geratriz tem como objetivo fornecer uma clara ideia de consumo de Utilities como energia, gás, agua e diesel. Depois de uma primeira implementação, os resultados não foram os esperados, tendo sido criada uma nova abordagem baseada em cloud. Este projeto visava reduzir drasticamente custos de provisionamento, manutenção dos dispositivos físicos e atingir um nivel de escalabilidade que permitisse executar esforços de internacionalização já planeados. 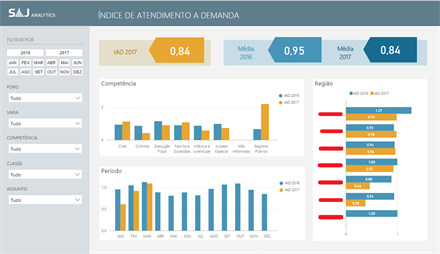 Adicionalmente foram definidos outros objectivos como a integração com parceiros da Geratriz (SenseWaves), para a análise de dados especializada no consumo energético. 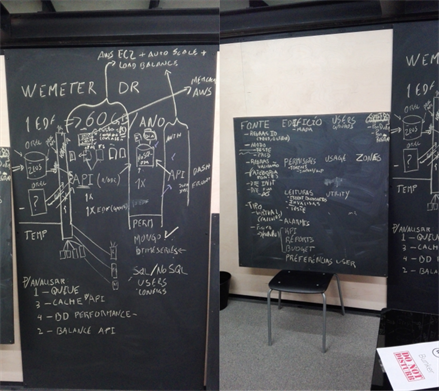 Geratriz offers a platform to measure water and energy consumption at shopping malls. The company worked with Microsoft and ComOn to improve the platform's reliability and resilience while reducing operational costs. A EDP, um dos principais produtores de energia em Portugal, quer desafiar os startups a criar uma solução de baixo custo para utilizadores finais que permita aos clientes recolher dados sobre consumo de energia doméstica e explorar formas de utilizar a informação. A EDP decidiu que a melhor abordagem para tal desafio seria através de um hackathon público, e sua equipe trabalhou com a Microsoft para se preparar para o evento. Microsoft worked with Captio to move its expense reporting app to Xamarin.Forms and restructure its Azure architecture, improving efficiency and ease of use. 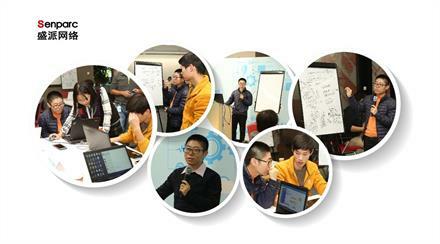 A team from Microsoft and Maria Furniture Factory jointly developed a cloud-based prototype of a reporting system. The hackfest-created solution is designed to bring the benefits of automation to the workflow. 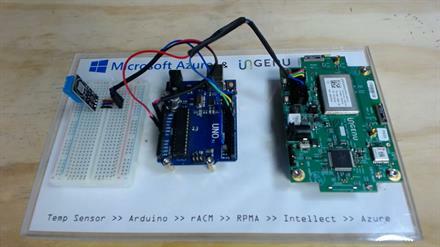 Microsoft worked with Ingenu to help customers using Ingenu's RPMA-based "Machine Network" get device data into Azure. 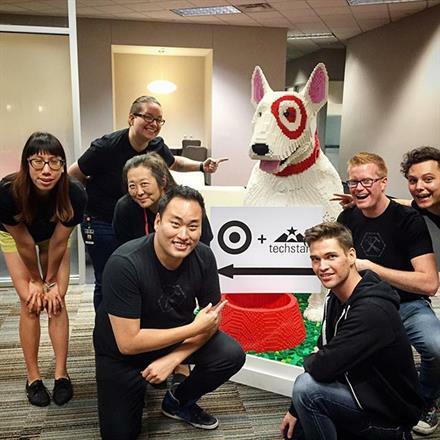 See how a hackfest helped Shelfie develop a cross-platform mobile app to expand its solution for publicizing and participating in fundraising opportunities. 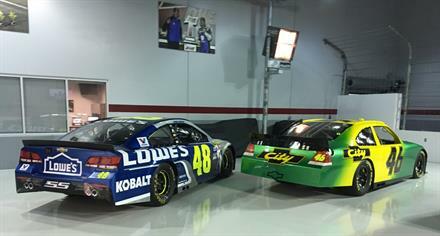 Microsoft teamed up with NASCAR team Hendrick Motorsports to expand the capabilities of its crew chiefs with a cross-platform mobile app for iOS, Android, and Windows 10. 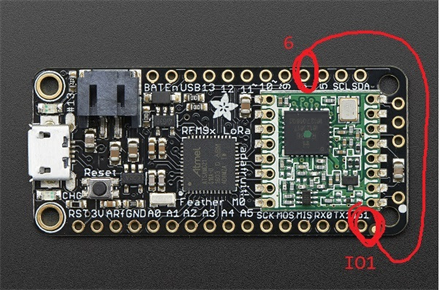 This report describes how green solution provider S3 Innovate and Microsoft evaluated the feasibility of using an ESP8266 microcontroller-based IoT device gateway for remote monitoring of meeting rooms to better manage energy consumption. 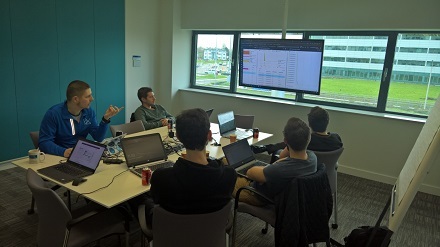 In this DevOps hackfest, Microsoft worked with Millennium to integrate an Azure Resource Manager model into an existing custom Azure services provisioning system that was based on an Azure Service Management model. 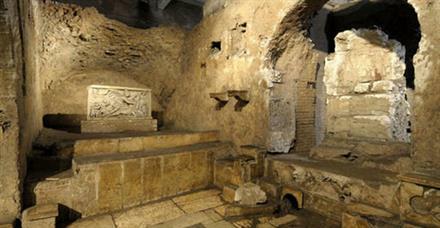 Researchers at Politecnico di Milano worked with Microsoft to develop a way to remotely monitor conditions at the Mitreo archaeological site in Rome. 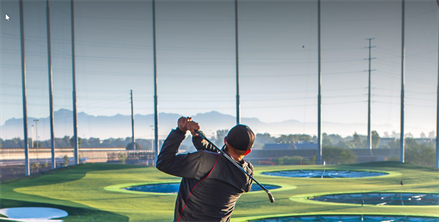 Topgolf and Microsoft worked jointly to prototype a new system based on Azure App Service to analyze the game play of Topgolf visitors and enable future customer-facing apps. This article describes the development process and the results. In this joint development effort, Microsoft teamed up with Arena to streamline Arena's deployment process to staging and ultimately production by using Azure App Service. 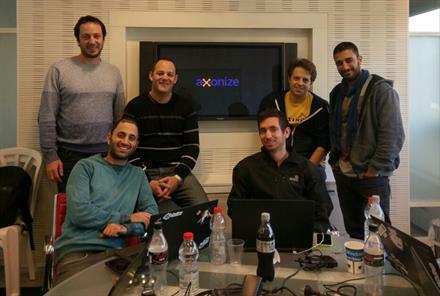 Axonize and Microsoft teamed up to optimize Axonize's build and release pipeline. This report details the DevOps practices that were implemented for their complex IoT solution. In this joint development effort, Microsoft teamed up with FuseThru to prototype a new system used to monitor atmospheric variables, both inside and outside of the Flatiron Building in Atlanta, GA.
Microsoft teamed up with Urban Refuge to give urban refugees in Amman, Jordan, access to local assistance opportunities via a Xamarin cross-platform mobile application. RockStep, along with Microsoft, developed a multitenant IoT solution that reduces operating and maintenance costs for clinical trial customers. 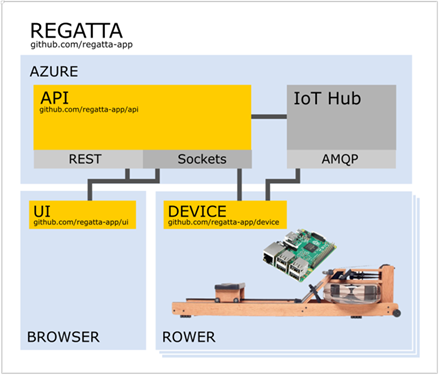 In this project, Microsoft worked together with startup Regatta to create a software solution for its new group rowing studio. 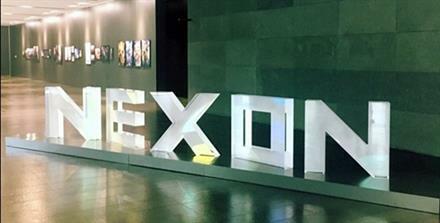 This is a Korean-language version of the Nexon hackfest report. Nexon, a leading online game publisher, and Microsoft conducted a hackfest to find ways to improve AI to make the game experience more captivating for players. 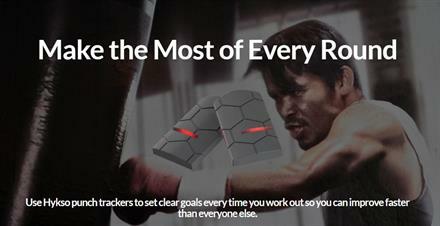 Hykso makes a device that boxers and MMA fighters can use to capture performance data, helping them to measure and improve their punching skills. 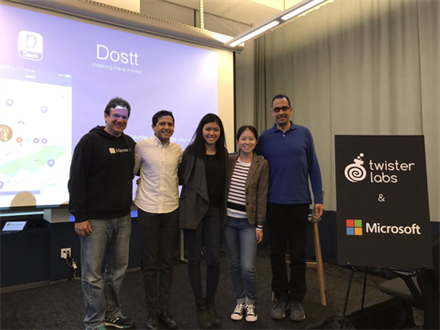 In a hackathon with Microsoft, a joint team broke new ground by enabling Hykso to tackle a multi-user scenario with Azure Event Hubs and Stream Analytics. An ice hockey analytics system was a difficult candidate to move to the cloud. 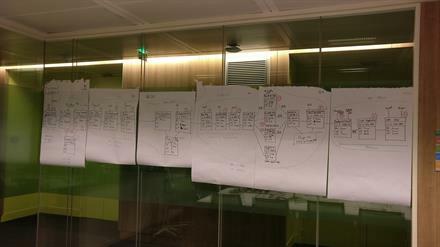 Here's how a team from ICEBERG and Microsoft made it work. 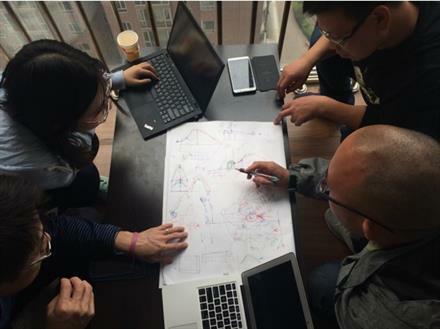 During a hackfest with Microsoft, Powel implemented an IoT solution to help municipalities discover water leakages early, potentially saving resources and money. In this IoT hackfest, Microsoft teamed up with Agatsa to build a cloud backend service that can work with Sanket, their ECG device. Microsoft teamed up with Intupower to build an Azure App Service API that is integrated with Office 365 services and Microsoft Graph API. The API will be the backbone for a PhoneGap mobile app. 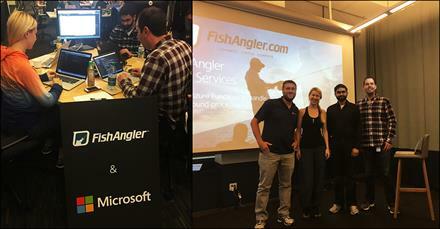 In this App Service hackfest, Microsoft teamed up with FishAngler to replace existing worker roles and extend functionality of their mobile app using Azure Functions. This article explains the work done between Microsoft partner Sensoria and the Microsoft Developer and Evangelism Team on the smart, connected golf grip for PGA golfer Bryson DeChambeau. 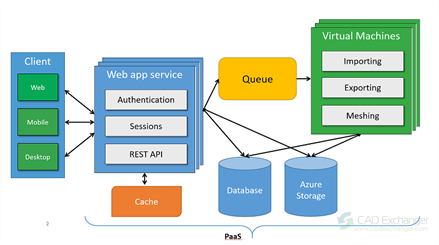 At a recent hackathon in San Francisco, Microsoft teamed up with Twister Labs—a San Francisco-based startup—to migrate their stack from Parse.com to Azure and to leverage Azure's PaaS features for their core workloads. 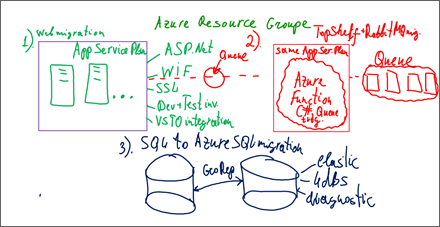 Over the course of the two days, we migrated their stack to Azure App Service and built two Azure Functions to power an interpersonal communication feature in their app, Dostt. The most important action for a seismic warning system is to send alerts as quickly and accurately as possible. Microsoft worked with SkyAlert to devise an IoT solution for improving and expanding their earthquake alert system. La acción más importante para un sistema de alerta sísmica es alertara a los usuarios tan pronto como sea posible. Un valor añadido es poder alertar con precisión la intensidad del terremoto que viene y retener las alertas de las zonas donde no se sentirán. Microsoft se asoció a SkyAlert para ayudarles a mejorar y ampliar su sistema de alerta mediante una solución de IoT. Microsoft teamed up with Things Expert to develop a car-tracking solution for use by car rental companies. This article describes the general execution and the results. 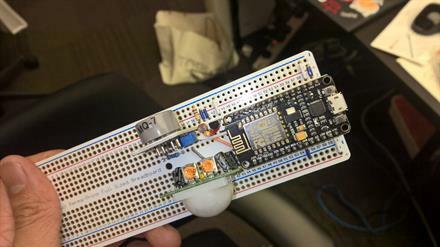 This article provides an overview and learnings from the Illinois Tech hackfest using Azure Functions, WPF, ClickOnce, and Web Apps to build an RFID-reading student attendance app. 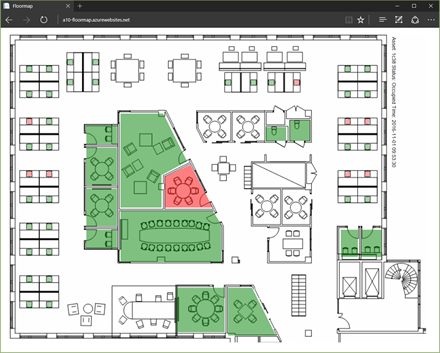 Microsoft teamed up with SureSpot Inc. to bring Power BI reports to customers using its online parking reservation service. 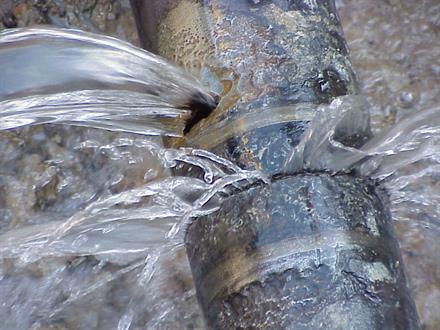 Microsoft worked with Powel to establish DevOps practices for a new SmartWater solution. 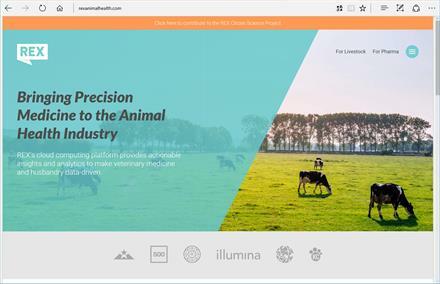 Animal health and genomics startup Rex joined with Microsoft to investigate how moving to Azure could streamline the development and deployment cycle of web applications built on Python and Angular. Microsoft, together with Yanzi Networks, Coor, and Intel, created an IoT solution for facility management. The goal was to create a template and simulated solution that new customers can use as a starting point for new implementations. 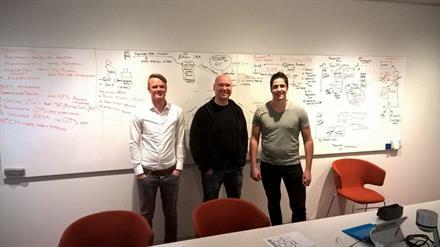 Microsoft joined Quarta Technologies and TechnoKom in a hackfest to develop the IoT gateway for a TechnoKom solution. Microsoft teamed up with Gump Come, a provider of smart vending machines, to develop a way to monitor the working status of its machines and to get real-time information on replenishment needs. Microsoft teamed up with Liquid Daffodil to bring its top-rated app to iOS, Android, and Windows 10. Microsoft worked with Unit4 to establish DevOps practices. 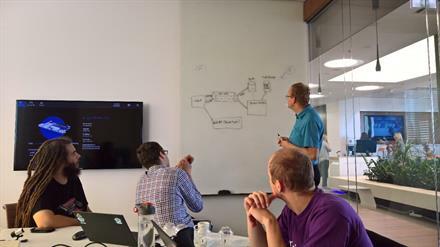 Canadian startup Roomsy partnered with Microsoft in a hackfest to learn how Web Apps and DevOps best practices could better address their need to quickly make changes to infrastructure and code when their clients need the support most. Read about the solution and how it was implemented. In this joint development effort, Microsoft teamed up with Wiretap to prototype a new product feature to streamline the management of security and policy-related violations in the enterprise social network monitoring platform. This article describes the development process and the outcome. 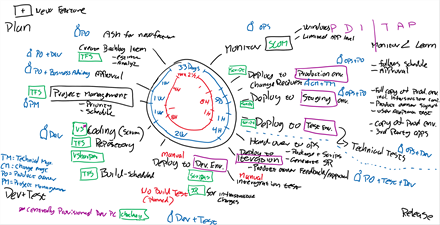 24COMS, together with Microsoft, changed their software delivery process from a manual fragmented model to a DevOps-inspired approach. This article describes why and how they went through this change, what benefits they were able to get from it, and how Visual Studio Team Services enabled them to achieve their goals. Hark is an IoT startup that needed an automated build-and-release pipeline to accelerate delivery of its IoT monitoring solution. Microsoft joined Hark to design the required pipelines and to implement them in Visual Studio Team Services. 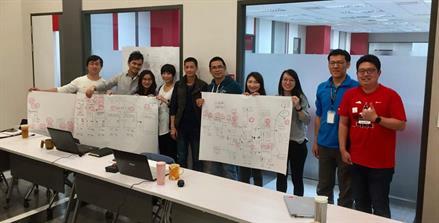 In this DevOps hackfest, Microsoft teamed up with a leading provider of professional services to improve their development processes with a focus on automated testing and release management. 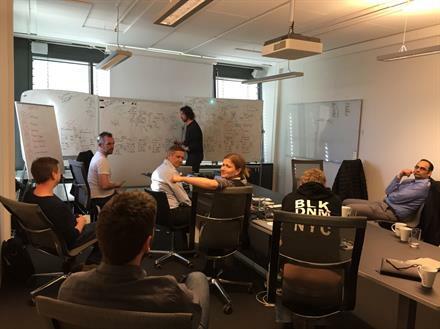 Orckestra explores opportunities for improving lead time and delivering smaller updates in a DevOps hackfest with Microsoft. 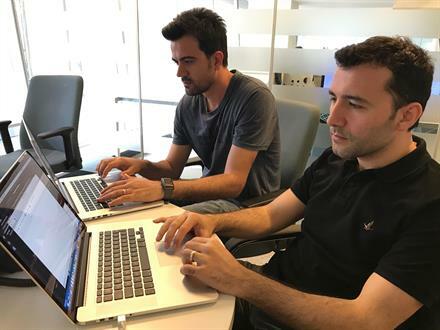 Microsoft worked with Azzimov in a three-day hackfest to increase the quality and reliability of its products and deployments by implementing DevOps practices. 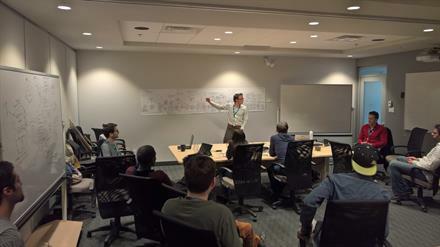 The Microsoft hackfest with Genetec highlighted the benefits of continuous delivery and cross-department collaboration. ExakTime improves continuous integration, continuous deployment, and release management DevOps practices, decreases lead time, and improves visibility into its entire pipeline with Visual Studio Team Services. 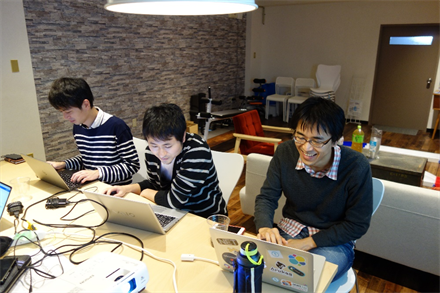 In this DevOps hackfest, Microsoft and NEC Solution Innovators hacked Docker and HashiCorp products on Azure. Microsoft teamed up with Karadamedica to hack integrated Microsoft DevOps technologies on Azure. Microsoft teamed up with an independent software vendor to identify and improve the company’s DevOps practices, with a focus on monitoring. 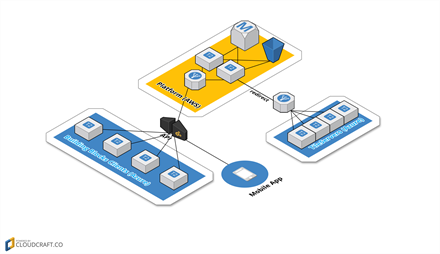 Together they came up with a solution that provides multiple DevOps benefits, including application performance monitoring, automated deployment, and usage telemetry. Microsoft teamed up with Amadeus to help them begin a DevOps journey and assess where they could make improvements with the most impact. 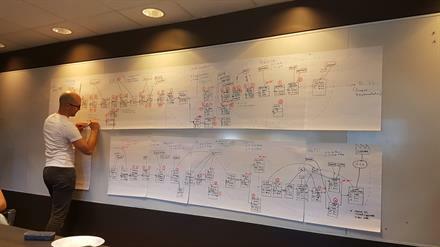 In a DevOps hackfest, Microsoft teamed up with Foize to hack a component of a popular Foize solution. We describe the process and the results in this article. Sorry, no case studies match your search. Please try again.